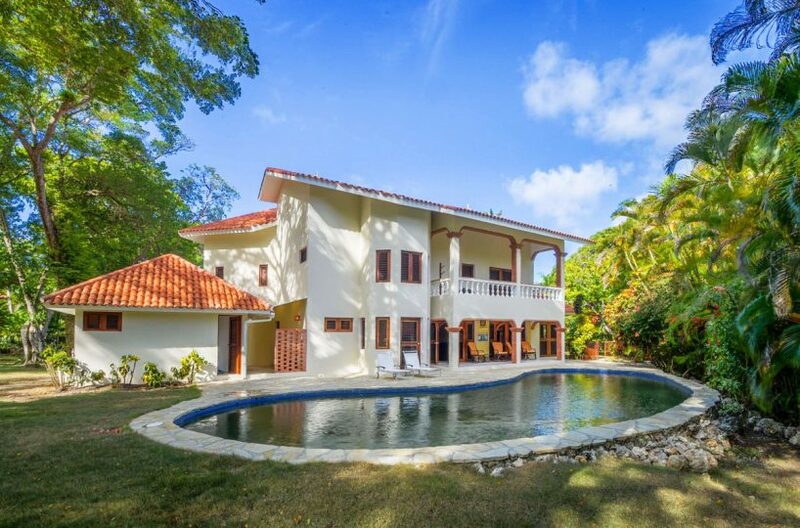 Located in the most distinctive gated resort of the North Coast of Dominican Republic, this home offers exclusivity in a setting among the Caribbean’s best. 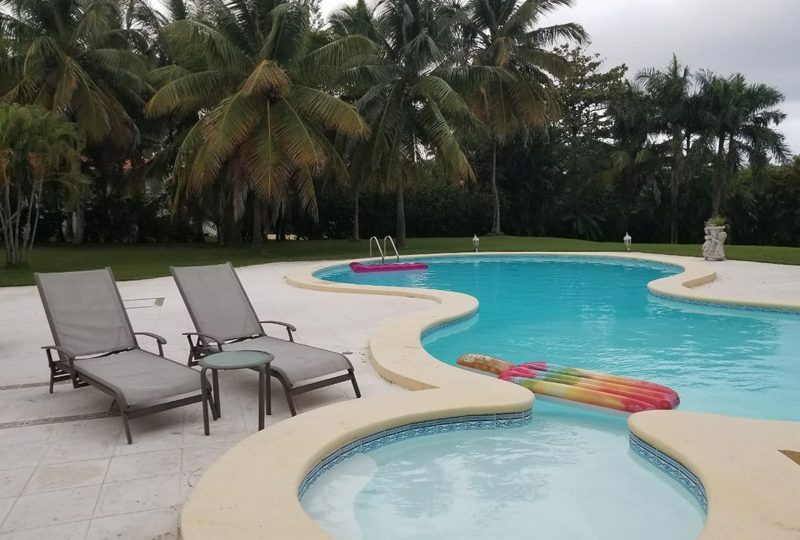 In addition to exceptional resort amenities — equestrian center, horseback riding, tennis club — this home is ideally located with ocean views, on a quiet cul-de-sac, just seconds by foot from the Beach Club area and seaside pools. This luxurious two-story contemporary style villa is spacious and inviting. It blends tropical living with clean and modern architecture. Upon entering, you feel the relaxed attitude of an open floor plan and soaring ceilings. The entrance leads to the airy living room with adjacent bar, both opening to an expansive covered patio and beautiful swimming pool/Jacuzzi – ideal for seamless indoor/outdoor living. The home features a very large gourmet kitchen, fully equipped with top of the line S/S Viking appliances, all solid wood cabinets, granite counters with breakfast bar, and a 6 burner cooking range that is a cook’s delight. Adjacent is the exquisite dining room accommodates 10+ persons. From the entrance hall, the beautiful staircase will take you to a large sitting area/bonus room with a terrace overlooking the pool/garden, an ideal retreat for sunbathing. Each of the four bedrooms has en suite bathrooms. The spacious master suite opens to a private terrace with ocean views and also features a walk-in cedar closet, private outdoor shower and Jacuzzi bathtub. 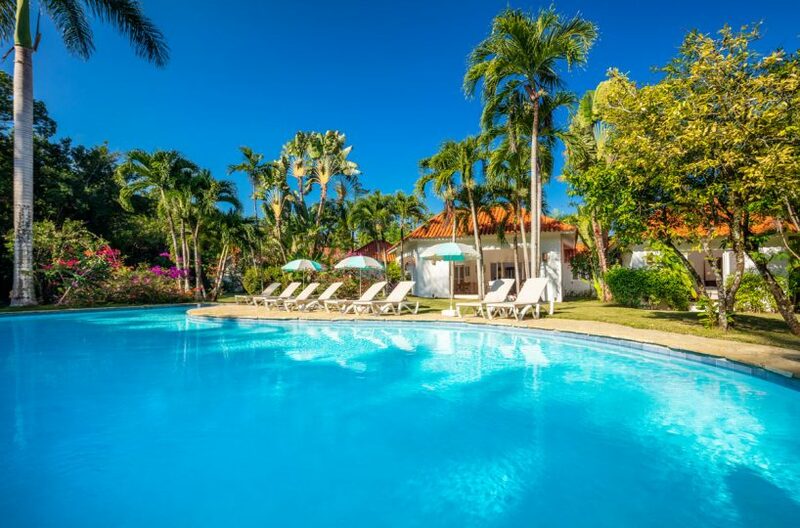 The lush grounds are beautiful landscaped with fruit trees, palms and tropical flowers, providing the ultimate privacy for entertaining, swimming or al fresco dining with family and friends.